Goodbye, Jeff Fisher. Those of us in Duval County wondered repeatedly how you could possibly keep a job. You routinely made yourself the bane of our existence, besting a team you had no right beating in 1999 and going to your lone Super Bowl, where you spectacularly failed in the final minutes. You made the Titans relevant, then not relevant, then relevant again, and never traded your mustache for anything. May you settle into some sort of consulting role, never to be seen glowering at your football team again. Don’t be sad for Jeff Fisher, the first casualty of the year in the NFL (I can’t believe it took this long). Fisher and his GM were having major issues getting along; he hired a known crook and cheater as his defensive coordinator; he whiffed on the first overall pick in this past year’s draft (Jared Goff is gonna take a while to “develop”); he made silly remarks about the record of a team that won games with scores numbering in the single digits even though he had Todd Gurley. Fisher will get paid handsomely for doing nothing in the next couple of years. The entire move from St. Louis was a sham; the fact that the sham was coached by Jeff Fisher made it all the more delicious for those of us who do not hold his coaching capabilities in the highest regard. 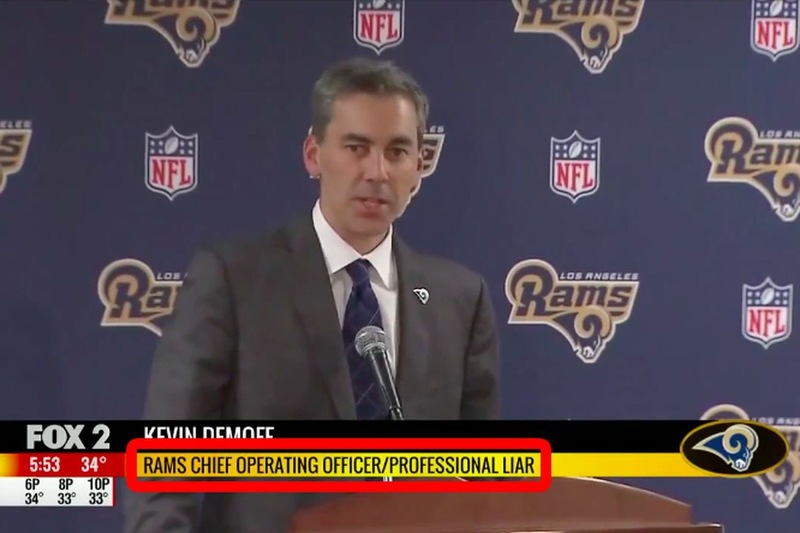 The rumor mill has started spinning, with everyone and their mother in sports media, desperate for a story, trying to attach every high-profile coordinator possible to the Rams job. My opinion? They should hire Josh McDaniels, so that he can take a quarterback too high there as well, and flame out after a season and a half. Honestly, in the NFL, everything is cyclical. What goes around comes around. What has come around in Jacksonville is that the Jaguars are not going to win a game again this year. There is no way, unless their defense starts playing offense too, that this team will be able to pull anything together. I think that when the coaching regime does change, Todd Wash, and maybe the entire defensive staff, should be retained. When you think about how many first-year starters are on that defense, it is amazing what they have been able to do with that squad. If they do stay, and maybe cut out the Gus Bradley-mandated schemes of “LEO” and “OTTO” and junk like that, and give Myles Jack playing time, and draft or go after some defensive ends with speed, then the defense will be good to go. Many of the offense’s problems lie with the quarterback. There has been a severe regression, and I’m here to tell you that it is all mental. Many things have been reported about Blake Bortles’ social habits, his party-boy ways, and to an extent, you know, that is fine – single people will act how single people act. Can’t help that. But he did not go to the same quarterbacking school that he did the summer before last, where he put up his best season and the offense really gelled. He does not make good decisions on the field now. He appears hurried, he appears hampered, and he makes excuses. Granted, there are lots of things to make excuses about, but I get the impression that the team is coddling him, protecting him because he is the “face of the franchise.” Well I tell you, your face of the franchise will have mud on it if these issues do not straighten out. There is not one single analyst who will disagree that the offense should NOT be having this kind of season with the talent that they have. Even without a running game last year, the Jags were still able to get something going offensively. This year, they are most definitely not. The Jaguars need to get it together, and need to surprise people. Should the Jaguars send Dave Caldwell packing with Bradley? It’s a foregone conclusion that Gus is gone. Dave has whiffed on a lot of moves, the most significant probably being Julius Thomas, who has been injured part of both seasons he’s been here. But I think with someone over him as “President of Football Operations” (Tom Coughlin), I think that he has a chance to finish building what he started. 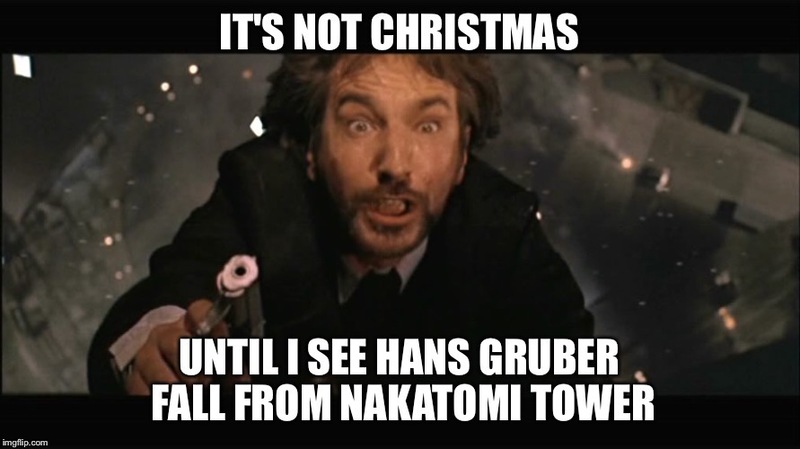 POTENTIALLY CONTROVERSIAL NON-FOOTBALL OPINION: The Nightmare Before Christmas is not a Christmas movie. RAMS at SEAHAWKS – I don’t like the Seahawks to do much in the playoffs this year, but come on, there is no way the Rams beat them, I don’t care if George Allen is coaching L.A.
DOLPHINS at JETS – I feel like congratulations are in order for New York because Bryce Petty looked surprisingly competent at quarterback last week. Then again, it was against the Niners, who willingly started Blaine Gabbert earlier this year. The Dolphins have lost Ryan Tannehill for the remainder of the season due to his knee injury but they have one of the best backups in the league in Matt Moore, and they also have the offensive power to beat the snot out of the Jets. BROWNS at BILLS – Oh look, it’s the Mediocrity Matchup of Week 15. Who will win, the Bills or the Browns? Who cares? Also, it will be the Bills, because I honestly think the Browns are horrible right now. LIONS at GIANTS – GAME OF THE WEEK 1 – Oh boy, do I think that this will be a GREAT game. Genuinely excited to see how this one plays out and I am wishing that I wasn’t saddled with having to watch the Jaguars lose again (confession: I will be finding something else to do than watch that). The Giants have a great defense and their offense has enough to keep driving the score up. The Lions have a pretty good defense in their own right, and Matthew Stafford is playing at an awesome level. Who do I think will win this game? I think that coming off the big win last Sunday evening, the Giants will be excited about their success and riding high, and pull off the home win – but I can’t just dismiss the Lions here and think they will keep it close, and I wouldn’t be surprised if they pull it out. EAGLES at RAVENS – The Eagles have regressed, and they are kind of more what we expected them to be, which is a talented team with a few young players and a first-year, first-time head coach that will have them strong next year. I think the Eagles are building something great and I still think the NFC East is probably the best division in football right now. The Ravens, with their loss to the Pats this past Monday, are waiting for either the Steelers to lose or fighting for a playoff spot. They have to take care of business if they want to be in the playoffs, though – and I think they will against Philly this week. STEELERS at BENGALS – The Bengals beat the Browns last week, which surprises no one, but they are still not looking that great. The Steelers are playing for their division and are firing on all cylinders with decisive wins in the last two weeks. I don’t think there’s much chance at all Cincy can keep up, and expect plenty more Bell and Brown highlights come next Monday. COLTS at VIKINGS – A kind of interesting game, because these teams had a lot of hype earlier in the season, but now they are both kind of disappointments. The Colts should not have let the Texans beat them. The Vikings had a powerful team at the beginning of the year, but they have regressed. Here, I think the Colts will win – the matchups favor Indy. The Colts had better also be hoping that the Texans collapse. PACKERS at BEARS – The Packers are coming off a great win against Seattle last week, and the Bears are ravaged by injury. There’s no way Green Bay loses this. TITANS at CHIEFS – An actually intriguing matchup; the Titans have brought themselves up and out of mediocrity and are actually decent, but the Chiefs are red-hot and have a genuine shot at one of the top two seeds in the AFC Playoffs. Kansas City should win. JAGUARS at TEXANS – The Jaguars, barring some sort of weird Christmas miracle, will not win another game this year. Although I do not want the Texans to win the division, they should win this game. SAINTS at CARDINALS – Both of these teams had high hopes at the beginning of the season, but neither are playing to their potential. The Saints lost a great game in Tampa last week, but the Cards took out Miami’s QB and still lost. I’m not sure who will win this game, because either team can realize that the football is a thing you use to score touchdowns in the painted area at the end of the field all of a sudden. But here I’ll pick the home team – Arizona grabs the win and hope for next year. 49ERS at FALCONS – Atlanta will win this, who are we kidding? PATRIOTS at BRONCOS – An intriguing matchup, because the Broncos surprised lots of folks by beating the Pats with Osweiler in at QB. New England has lots of injuries but has been able to overcome them with the game plan. The question of this is really which defense will win, and I think the Broncos have a good chance to do so, especially at home. Here’s hoping they can knock the Pats down a peg. RAIDERS at CHARGERS – Although they have come down from the high of being the Team to Beat in the AFC, the Raiders are still really talented and solid, and should not have a problem beating San Diego. BUCS at COWBOYS – GAME OF THE WEEK 2 – Yes, the Cowboys lost last week, but if you have two losses, might as well be to your most hated division rival. Now, it’s the battle of the young quarterbacks and the sterling defenses. Tampa’s D has held Russell Wilson and Drew Brees at bay this season. But Dallas’ defense is nothing to sneeze at, and Ezekiel Elliott is a running back the likes of which the Bucs have not seen this year. At home, on Sunday evening, and against a young, tough team, I think the Cowboys will pull out a hard-fought win. PANTHERS at REDSKINS – I don’t think the Redskins are a playoff team anymore, but I don’t think they will let Carolina beat them.